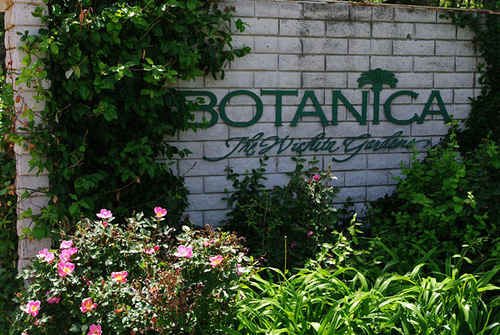 If you haven’t been to Botanica in a while, it’s definitely time to visit again. Family time is the focus of the biggest extension to the botanical gardens since it opened 24 years ago. The new Downing Children’s Garden will be ready for play on July 2, 2011. This is the first of a huge expansion project planned in the gardens which will eventually more than double its size. The children’s garden features elements that come to life and invite kids to join-in. Among the one-acre area will be a giant tree house for climbing, an Enchanted Glen for storytelling, puppet shows and chalk drawing, a musical maze and a farm where kids can work an old fashioned water pump. I have always thought Botanica already had plenty of exhibits to treat the young and old alike. My kids love the butterfly house which was filled with pansies during our most recent visit. They also enjoy the wall of plants designed specifically to touch and smell, the little pond with the big coy fish they can feed, and there’s always something about fountains that kids love. This new exhibit will make Botanica a definite family destination. The Sedgwick County Zoo is celebrating 40 years of thrilling families. When it opened in 1971 with two small exhibits, it was probably hard to imagine it would become one of the largest zoos in the nation. Today, the zoo is a major regional draw with high class exhibits and plenty of space to keep expanding. Our favorite exhibits were the Tigers and the Gorillas. Both are some of the newer exhibits at the zoo. You get to cross a long swinging bridge to enter to the Downing Gorilla Forrest which spans eight acres and features over 50 animals. I loved the viewing area for those mighty lowland gorillas, which made you feel like you were at a research station. Key here is an interior (not smelly) building where you can enjoy viewing these animals even on the hottest days. The new Slawson Family Tiger Trek also has a nice temperature controlled viewing area. The really creative display allows you to walk into a replica of the “wilds of Asia.” You can also get up close to red pandas and brow-antlered deer. We got to see the pandas getting fed. So, that’s always a thrill. The zoo does a great job of offering special events and keeper talks throughout the day. Coming up the end of June will be the 4th Annual Ape Awareness weekend featuring special events at the Koch Orangutan & Chimpanzee Habitat. 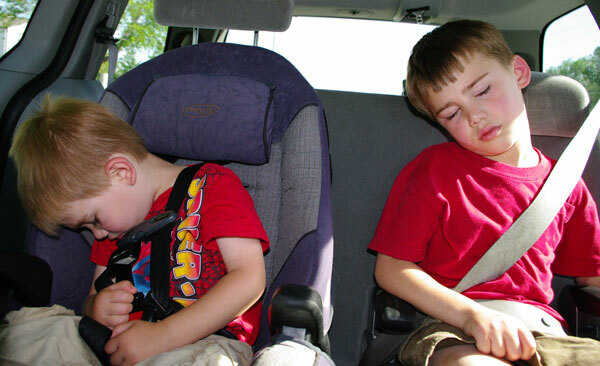 Our boys left TIRED but happy. While you are in Wichita, don’t forget to look up. It’s not called the Air Capital of the World without merit. The aviation heritage of the town is nearly always on display in the skies above. People who live in Wichita are skilled at naming the wide variety of military, private and commercial planes often criss-crossing in the skies above. The great thing about a Weekend in Wichita is that it’s an easy drive from nearly anywhere in the state. So, even if Grandma doesn’t live there, if you’re looking for a quick family get-away, I’d recommend you give it a try.